Legendary filmmaker Martin Scorsese is teaming up with Vikings creator Michael Hirst for a new series entitled The Caesars, which will start filming in Italy sometime next year. The series will follow the early rulers of Rome, starting with the epic rise of Julius Caesar to power. The pilot script has already been written, along with an outline that maps out the entire first season. Here's what Michael Hirst had to say about Martin Scorsese's commitment to the project, adding that the filmmaker has been "desperate" to make a movie or TV series about the Romans. "He genuinely loves the period and knows a lot about it. He got on the phone to Justin Pollard, my historical adviser. They chatted, partly in Latin, about sources for the stories and Roman poetry." Michael Hirst has become one of the most sought-after names for movies and TV shows that delve deeper into true events and real-life characters. He wrote the screenplays for the 1998 classic Elizabeth starring Cate Blanchett, and the 2007 follow-up Elizabeth: The Golden Age before turning his attention to the small screen. He created The Tudors and the short-lived series Camelot before creating his current hit series Vikings, which is currently on hiatus after the Season 5 mid-season finale airead a few weeks ago. Here's what Michael Hirst had to say about the story, which will give fans a much different glimpse into the life of Julius Caesar. "In the movies he's usually a middle-aged guy, struggling with political complexities. But he was fantastically interesting and ambitious when he was younger. A lot of the Caesars came to power when they were young, and we've never really seen that on screen. It's the energy, the vitality, the excess of a young culture that's being driven by young people. There is something astonishing about the rise of a relatively small kingdom to world power within a very short space of time. It couldn't have been done by tired old politicos and faded warriors." 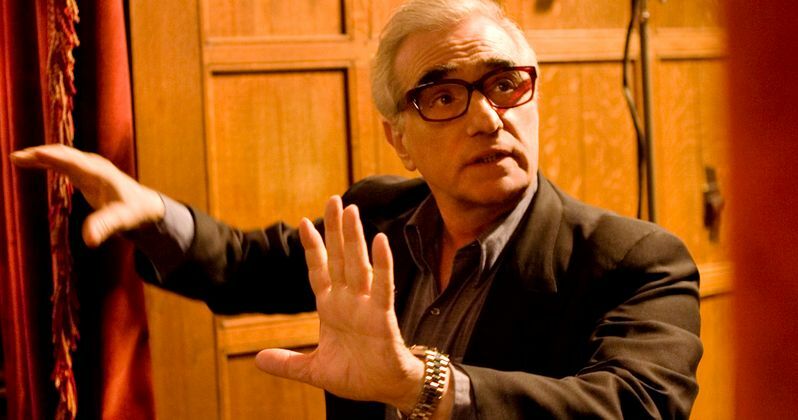 Michael Hirst added that one of the benefits of working with Martin Scorsese is that actors want to work with him, going on to say that they'll be casting a lot of young actors. While Michael Hirst's shows are certainly rooted in actual history, they also aren't documentaries either. Here's what he had to say about the balance of history and fiction in his work. "The past and the present are virtually the same to me, because it's just continuity. With the Tudors and Vikings, we make them seem resonant and relevant to people today. Just like Shakespeare's history plays, they only start with some historical facts, then the drama takes over. You can't have both. there's a marvellous amount of information. Even contemporary accounts aren't accurate. If you and I saw the same event, we would report them differently. Every account is partial. There is no pure history." While Martin Scorsese is best known for his work on the big screen, he is no stranger to the small screen either. The filmmaker served as executive producer on two HBO shows, Boardwalk Empire and Vinyl, both of which he directed the pilot episodes for. We also reported in 2016 that his Best Picture winner The Departed is being turned into an Amazon TV series, although we haven't heard any updates on that project yet and the extent of his involvement remains unknown. The Guardian broke the news on this new TV series over the weekend.